How Far is Maruthi PDN Paradise? 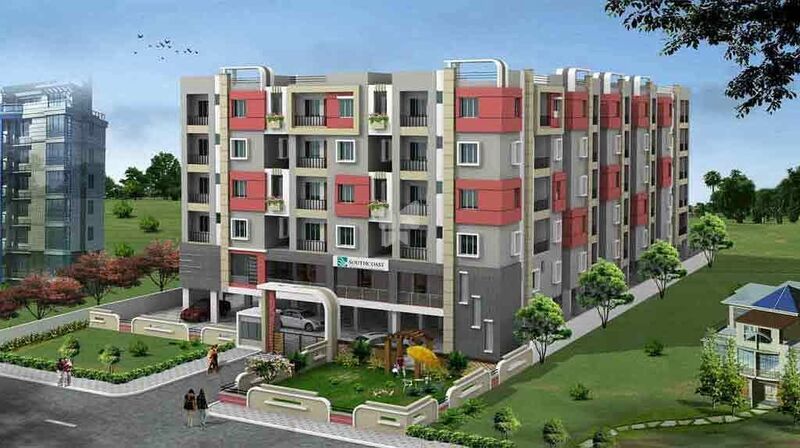 Maruthi PDN Paradise is one of the popular residential projects that is located in Anand Nagar, Visakhapatnam. Developed by Vinayagar Promoters, this project offers thoughtfully constructed 2BHK and 3BHK apartments with modern amenities for the comfort of residents. Adding to this, it is close to the market, hospital and many educational institutions. Super Structure Finshes:6"external wall & 4.5" interval wall with quality bricks in cement mortar. Internal: Smooth plastered surface with lappam/putty & painted with emulsion. Painting: Sand Finished plaster surface with weather proof paint of approved make.All doors of one coat primer one coat of putty & 2coats of Enamel paint . All Rooms: 2'*2' vetrified tiles of standarad make. Toilets/Bal/Utility: Anti skid ceramics tiles for toilets,balconies & utility. Kitchen: Glazed ceramic tile dado upto 2'height above kitchen platform. Toilet: Class designer wall tile dado upto 7'-0"height of quality makes. Utility/Wash: Glazed ceramic tile dado upto 3'height. Main Door: Teak wood frame & shutter aesthetically designed with mealmined polish, Fitted with good quality hardware & locking system of reputed make. Other Doors: Teak wood frame with good quality waterproof flush shutter with quality, hardware & lock. Windows: Teak wood frame with Fixed saftey iron grill. Kitchen: Cooking plat-from of granite & stainless steel sink with both Drinking & Bore Water connection. Water Supply: Adequate water supply for all flats with over head tank & under ground sump. AC points for Master Bedroom. 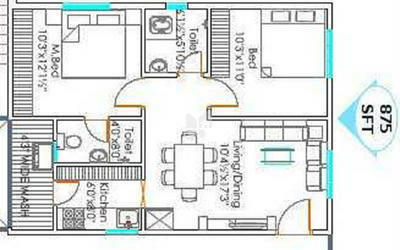 Power points for cooking range, chiminey, microwave, refrigerator, mixer, grinder in kithcen & geyser point in Master Bed Toilet. Provision of DG Backup for Light & Fan Point in all the Rooms. Modular switches of standarad make. 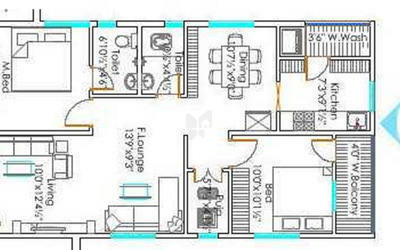 Communication wiring of Standarad make in living & Master Bed Room Only. Circulation: 2Nos. of 6 passenger lift of standard make. Power Back Up: Generator power for lift & bore wells & common area lighting. Parking: Adequate car parking is available at stilt. MaruthiBuilders, the result of an exemplary vision by Mr.P.Pyarelal Jain, has built a remarkable reputation in last two decades. Maruthi aims to partner India’s development effort in empowering the country to build better structures. MaruthiBuilders took its first step in the year 1990 in partnership. Originally pioneers and market leaders in the textile industry, MaruthiBuilders diversified into construction and has since then had many happy customers. 38 projects and still going strong, MaruthiBuilders has structured 1.5 million sq.ft in residential, commercial and industrial areas. Focus on innovation, teamwork, a high degree of technical excellence and uncompromising standards have helped us create a renowned name in the field of construction. Ably guided by our founder, a visionary, Mr.P.Pyarelal Jain, Maruthi today stands tall at the threshold of a new world, a world full of quality structures and happy families. Through the process of construction, Maruthi also wishes to touch and improve the quality of lives of people all over.